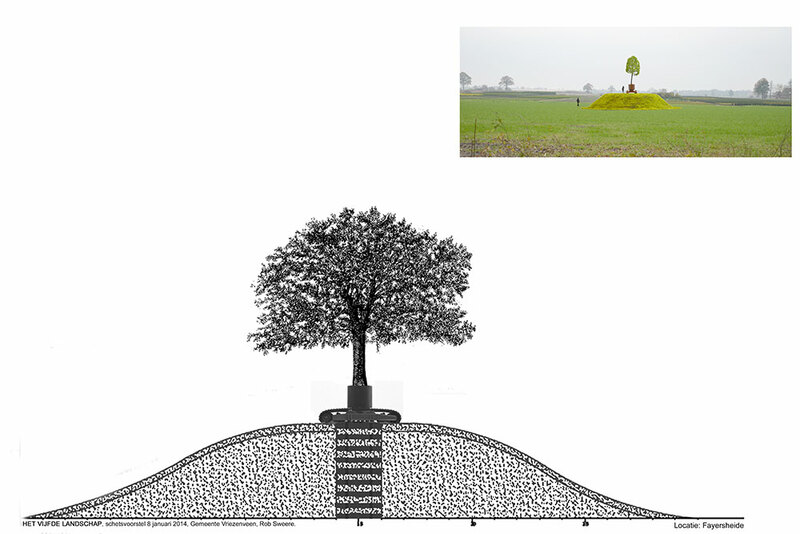 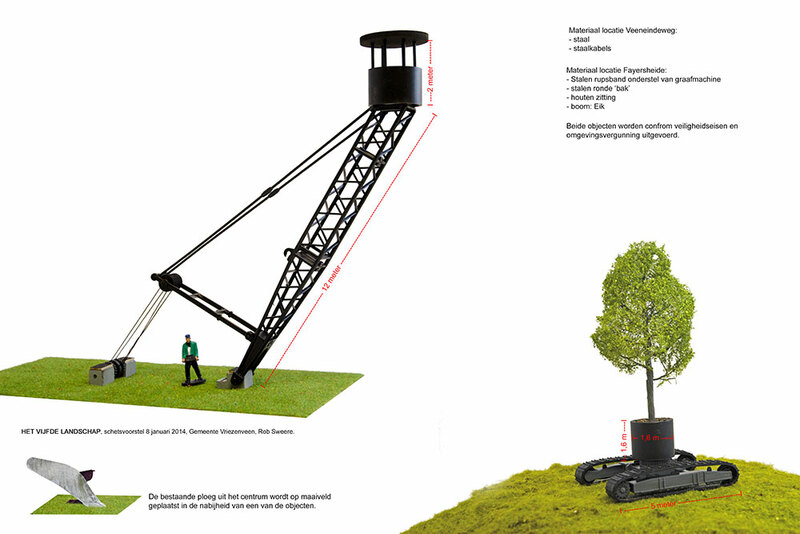 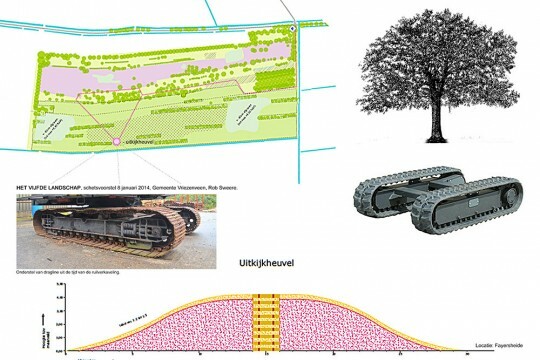 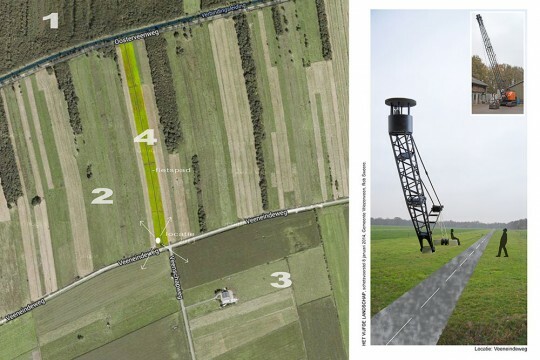 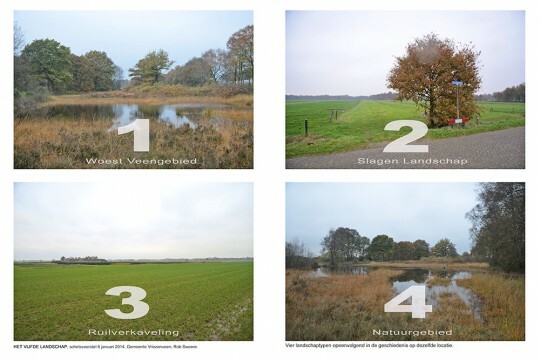 This project is going to be realised in 2014 on the countryside in Vriezenveen. 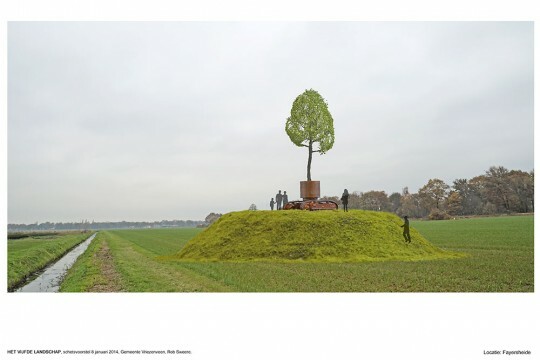 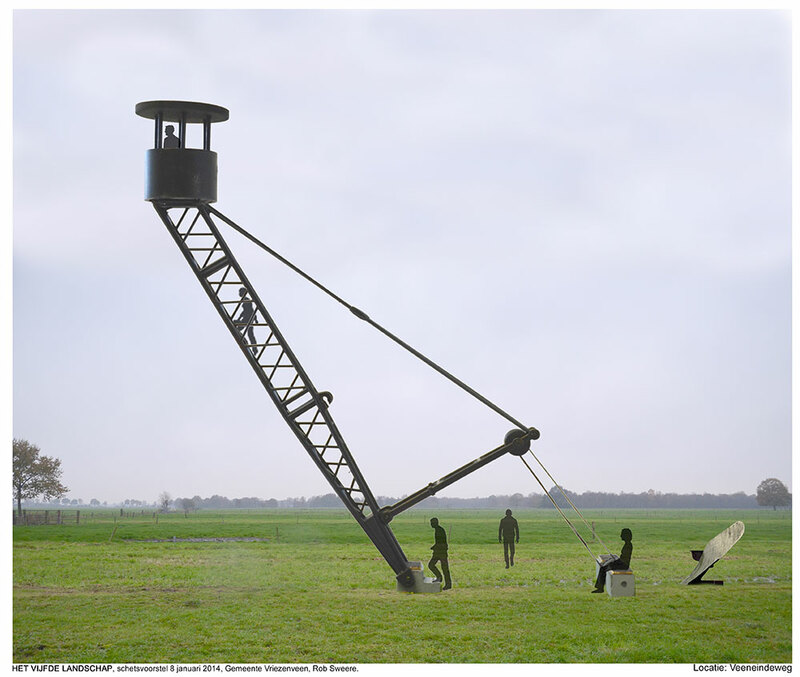 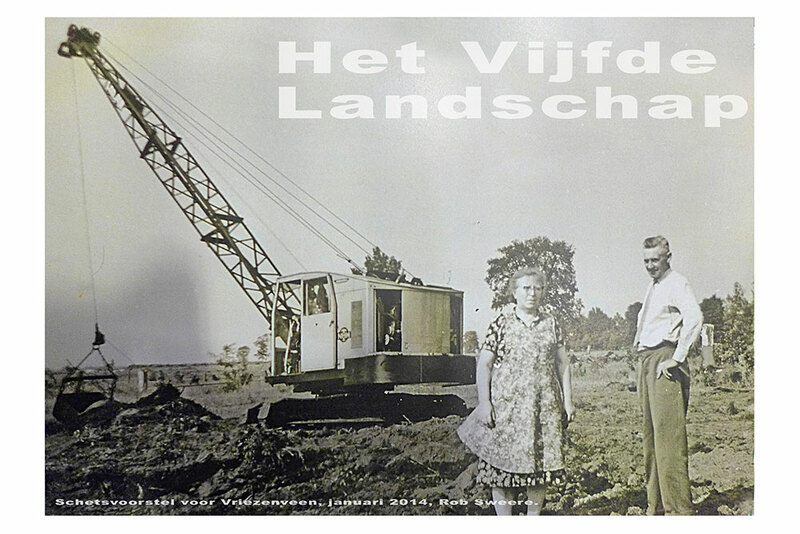 In 1955 the landscape was deeply changed for agriculture purposes with heavy industrial equipment, de ruilverkaveling. 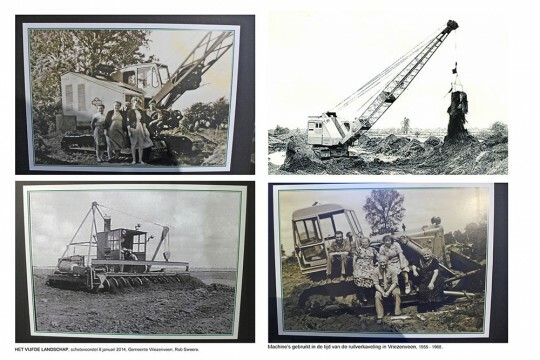 Now the landscape is change back again into new nature, with the same equipment. Landscape number 4 -on the same spot- since the Middle Ages, very dutch.